We writers do the best we can to tell an engaging story, hoping readers will like what we have written, but often readers see something in the story that we didn’t purposely put there. Sometimes this “extra” is good. 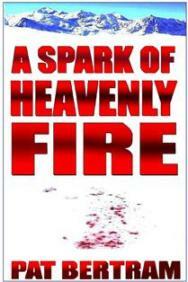 A reader once pointed out that A Spark of Heavenly Fire was about love in all its guises. He was right, that is a major theme, though that hadn’t been my intention. I wanted to write a big book, an important book with ordinary people becoming extraordinary in perilous times. Since I didn’t want to do a war story, I did the next best thing — created an epidemic so deadly that the entire state of Colorado had to be quarantined to prevent the spread of the disease. To “personalize” the catastrophe, I told the story from several points of view, not just character POV, but the various ways the characters viewed the epidemic. And what shone through, by the time all the stories were told, was the theme of love in all its guises. But sometimes the “extra” that readers find is not so good. 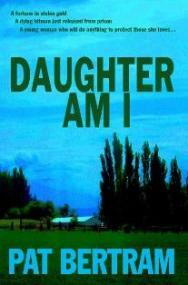 Daughter Am I is the story of old time gangsters. A young woman inherits a farm from murdered grandparents she didn’t know she had — her father had claimed they died before she was born. 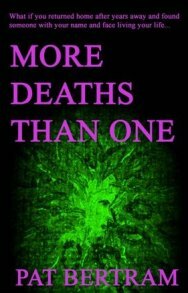 When she confronts her father with his lie, he merely responds, “They were dead to me.” She becomes obsessed by the mysteries of why her grandparents had been murdered and what they had done that was so terrible their only son cut them out of his life. She tracks down her grandfather’s friends, most of whom had lived nefarious lives, and she gradually learns who her grandfather was. At the end of the book, her actions mirror what she has learned about her grandfather, and so she learns the truth of him. 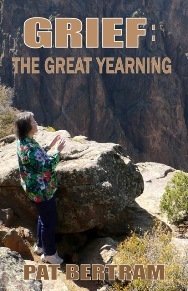 This is the book I had written — a young woman searches for her grandfather, and finds him in herself, in her outlook on life, in her dealings with others. In thinking about it, I had to admit it wasn’t strictly moral, but the ending was inevitable since it fit the search-for-identity story I’d written. I didn’t really think anything more about it until I saw a review where someone liked the book and the characters, but didn’t like cynicism of the book — that anything is justifiable as long as you treat your friends right. In the end, it doesn’t really matter what story they read, at least not from my perspective. The truth of any story is in the minds of readers. We writers can only write the story we know how to write, then send them out into the world to make whatever they can of themselves. I kind or get what you’re talking about. An editor once called a sci-fi short story I wrote “an interspecies love story”. I’d just intended it to be a new spin on the alien-vs-humans war themes. I tend to leave it up to the reader to decide where the morality of my characters in any story begins and ends. Provided of course they are all that concerned with the issue. I find straight out good guys with their white hats and straight out bad guys with their black hats boring. I also find them unreal. If I am writing a pulp style story I might have a good guy lean toward donning the white hat but rarely will I have the villain be just plain evil. That being said readers as you have pointed out will often see what they will want to see or expect to see. The trick is not to disappoint. In my novel Desk Job I was reviewed by this married woman who then gave the book to her husband to read. Strangely enough, there there moments of humor in the book the woman got straight off and there were other moments of humor the husband got straight off. Why didn’t they either get the same bits of humor or all of the humor? I still have no idea. The fact that the book appealed to both of them for different reasons says something though I am not sure what it says. I can only conclude that they either have different senses of humor or have had different experiences working in an office.